For many of us, Pinterest is a form of entertainment (or obsession). But for PR pros, it can be a powerful tool to connect with our audiences. Now I know what you’re thinking: Is anybody even using Pinterest anymore? Pew Research Center’s Social Media Update 2014, indicated 28 percent of online U.S. adults use Pinterest, representing 22 percent of all adults in the U.S. That’s way below Facebook’s 71 percent of online adults, but slightly above Twitter’s 23 percent and Instagram’s 26 percent. Yup, you read that right. ABOVE Twitter and Instagram. That’s something for PR pros to think about when recommending platforms and social strategies. So what, exactly, do PR pros need to know about Pinterest? Pinterest has more than 70 million users as of June 2014, but it’s not for everyone. 81 percent of the estimated 40.1 million monthly Pinterest users in the US are female, while 42 percent of online women are users of Pinterest. Pinterest is the channel of choice for moms, who share three times more than the average user, and 18 percent of Pinterest users have a household income of more than $75K/year. The point? Pinterest has a very specific demographic, and while men are the fastest growing demographic on the social network, it still skews heavily female. To know if Pinterest is right for your brands, you’ve got to know your audience and their media consumption habits. Man, is Pinterest brand-friendly. In addition to its Pinterest Best Practices Guide, which is full of actually useful how-tos and examples, Pinterest has case studies of more than 20 brands of varying sizes, on its business-focused website. Lists and numbers are a great engagement tool on Pinterest, and if you want to see a master of the numbered list, look no further than Brit+Co. The company and lifestyle brand deftly weaves numbers and lists into its content and is highly shared and highly sharable. Other tips for highly sharable content on Pinterest are to use high quality images, use taller images to take advantage of the platform’s design, focus on timeless descriptions that will stay relevant (instead of promotion or sale-specific descriptions) and use the platform’s rich pins feature. What else can you do? Get specific about what people might search for… is it a sweater? Or is it an argyle sweater? Or a cashmere argyle sweater? There are millions of pins out there. How will people find yours? Pinterest also recommends pre-populating Pin descriptions on your website, and of course, gives you instructions how on its developer site. 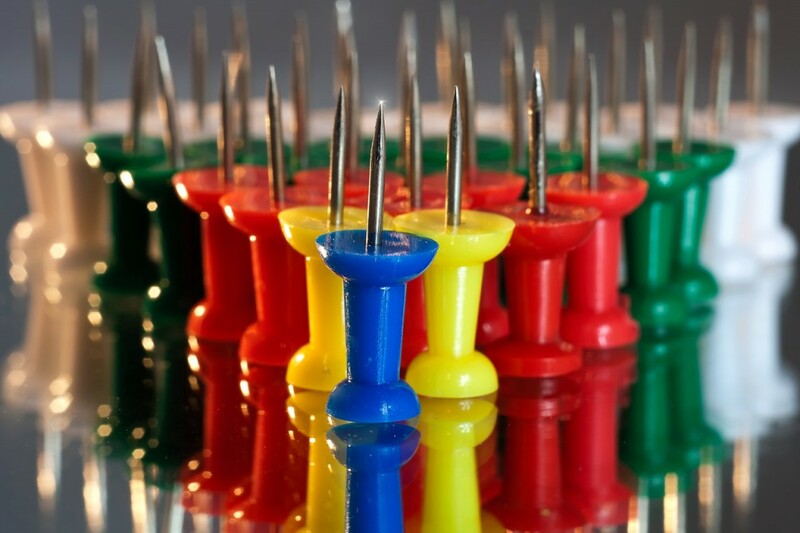 When pinning content, ask yourself: are you sending people to YOUR site — be it a blog or an e-store — or are you sending them elsewhere? And once they get to your site, are there tools to help them stay on your site? Think Amazon suggestions or your favorite blogs that suggest posts based on what you’re reading. Once you connect with people on Pinterest, send them down the rabbit hole and keep them on your sites. Pinterest analytics allow you to look at metrics on your brand profile itself, audience demographics and Pinterest activity from your website. Pinterest has a great video explaining analytics. It also offers a guide to Pinterest analytics with detailed information on analytics and how to use them to make smarter decisions. Analytics are only available for verified sites. As with any metrics, your analytics are only as good as you make them. You need to look at them with regularity and make thoughtful, creative changes based on what the numbers tell you to ensure you’re reaching your communications goals. At the end of the day, whether or not Pinterest is right for your brand boils down to your audience and your communications goals. Like any PR effort, you have to know who you want to reach and what you want to accomplish to be able to use the tool effectively and efficiently. With a solid strategic focus and a knowledge of Pinterest points, for many brands Pinterest can be a valuable tool with a real ROI. Kate Snyder, APR is the principal strategist and owner at Piper & Gold Public Relations, a boutique agency in Lansing, Michigan that specializes in government, nonprofit and small business public relations. She has presented on digital media topics at conferences throughout the United States, including at PRSA’s International Conference, and teaches public relations at Michigan State University. Follow Kate on Twitter @PiperGoldKate or, of course, on Pinterest. Hi Kate, this is a great summary of how Pinterest can be used by business, so they can reach their target audiences. What really surprises me is the amount of women, and specifically “moms”, that use the platform. The first thing I always hear when people talk about Pinterest is exactly that, “moms”. I wonder why other age groups and men are not using the tool more (I realized there is growth, but it is still a small base). I suspect it may have to do with both perception of the brand, as well as perception of the functionality. As a man I know that I would greatly value being able to search for specific items, without having to go to different websites, as when I would be looking for a “white dress shirt”. Maybe most men think it is a site that is all about Pin and Boards, and something like the “organizing/categorizing” functionality that women appreciate, doesn’t really appeal to them. Pinterest should conduct some Consumer Market Research to discover what these preconceived notions of the brand/site are, and then try to change those perceptions. I think it is a great tool, and if Pinterest did a better job of segmenting and promoting the functionality to different groups, it would gain more traction, and then be able to provide a greater value proposition for both consumers and businesses.